Day by day, oral health is improving and instances of tooth loss are decreasing across the United States’ population. However, that does not mean it is a minor health issue. For example, The American College of Prosthodontists estimates that 36 million Americans are edentulous, meaning they do not have any teeth. 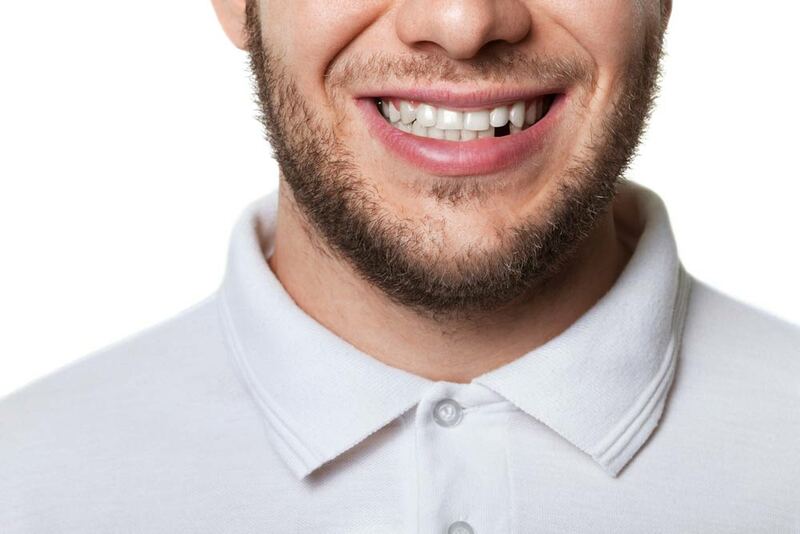 Researching missing teeth statistics both around the country and in Redwood City, CA can help Dr. Jean Barthman and our team provide better and more proactive restorative dentistry care for our patients. What Is Causing Missing Teeth? Unfortunately, tooth loss, like other health issues, can happen for a number of reasons. The most common reason is dental decay. Harmful oral bacteria accumulate in plaque and tartar buildup in the mouth. As the bacteria grows, it emits destructive acids that can cause cavities. If left untreated, the decay can grow and permanently damage the tooth. When restorative procedures such as root canal therapy or dental crowns are not enough, the tooth is extracted to prevent further decay. Additional causes of missing teeth include periodontal disease, bone disease, or trauma. How Does It Affect Different Demographics? Comparatively, women experience tooth loss at a slightly higher rate than men. Men across all age groups retain 25.06 teeth, while women retain 24.9. Mexican-Americans experience the highest rates of tooth retention; the average Mexican-American adult has 25.32 teeth, while African-American adults experience the lowest rates of tooth retention, with an average of 23.68 teeth. Additional factors include education levels. On average, adults who have attained more than a high school education retain 25.76 teeth, while adults who do not hold a high school diploma or equivalent retain 23.10 teeth. How Does It Affect Different Ages? The National Institute of Dental and Craniofacial Research reports that adults ages 20 to 34 have 26.9 out of 32 teeth remaining (this includes the wisdom teeth, which are commonly extracted due to overcrowding or other health issues). Adults 35 to 49 years have, on average, 25.05 teeth remaining, and adults 50 to 64 have 22.3 teeth remaining. Adults 50 to 64 have the highest percentage of total tooth loss at 10.13%. Improved dental care practices, along with wider-reaching public health education initiatives, has helped to reduce the rate of tooth loss in the United States. However, tooth loss cannot be eradicated due to issues of trauma or overcrowded teeth, so quality restorative dentistry is needed to restore patients’ mouths after tooth loss. Our practice offers restorative treatments such as tooth-colored fillings, full or partial dentures, and titanium dental implants to fill in gaps in your smile after you experience a lost or extracted tooth. Though natural teeth are almost always the best option for maintaining the optimal health of your smile, Dr. Barthman offers safe and effective treatments to help keep your smile healthy if tooth loss occurs. How Can I Prevent and Treat Tooth Loss? Tooth loss can sometimes improve a patient’s oral health, but generally, missing teeth should be replaced. Retaining the natural teeth prevents jawbone deterioration. If you are looking to prevent missing teeth, or require restorative dentistry care, call us at (650) 367-4967 or contact us online to schedule a consultation at our practice. Dr. Barthman offers treatment options to restore missing teeth, and preventive care to prevent further tooth loss or decay.